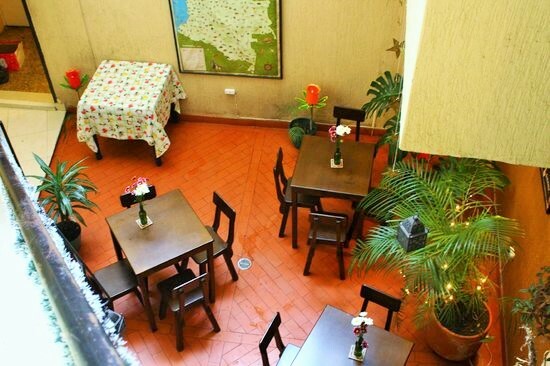 HostelTrail, Popayan, Colombia | LOOK WHAT WE DONE! Back a few centuries ago, when Gran Colombia covered not only Colombia, but stretched into Venezuela, Ecuador and Peru, there were three capitals – Caracas (now capital of Venezuela) in the North, Bogota (now capital of Colombia) in the centre, and Popayan in the South. You came here looking for a review and you’ve got a history lesson, and you can just deal with it, punk. 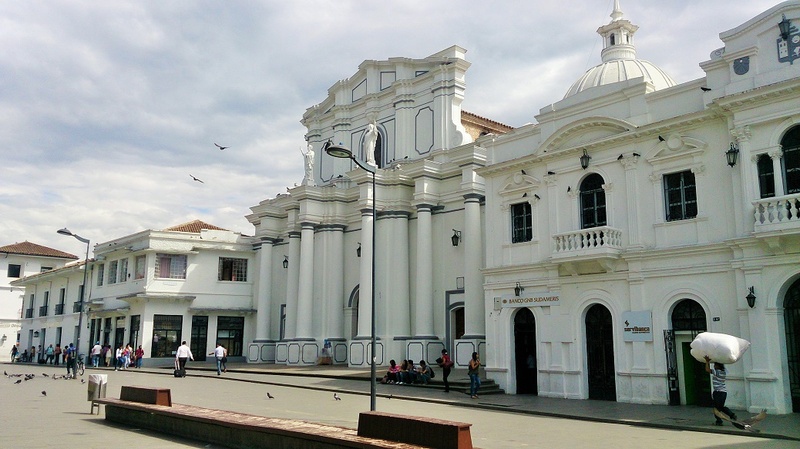 Popayan. The city that Colombia, and the rest of the world to some extent, forgot. That also means that travellers often forget it. Or more commonly, travellers have never heard of it. Jeepers, I was one. If it weren’t for the fact that we had to go through it to get to where we needed to be, I would’ve scooted right over the Popayan page in Lonely Planet. Kim, a native Scot, knows this. She and her partner Tony landed in Popayan 8 ½ years ago, and have been there ever since. Running a travel website at the time, they saw the potential of the grand old girl. They decided to settle down and start a hostel, hopefully convincing people to hang around long enough to really appreciate the joint, rather than just treat it as a weigh-station between Cali and Ecuador. Firstly, the town is amazing. The entire downtown area, maybe 50 or 60 blocks, is made up of whitewashed colonial buildings. If you visit, you might find yourself asking ‘how the hell are all these buildings so friggin’ white?’. I’ll tell you why. They paint every one of the buildings, covering that amount of area, every year. Dulux are well chuffed. The atmosphere of the town is super friendly and laid back. There are eateries and drinkeries galore, and the Thursday and Friday nights we were there were pumping (Colombia may have won a bit of football but I’m sure that didn’t effect things at all). As to the hostel Kim and Tony have managed to create, it’s pretty hard to mark down. The building it’s in is super unique – originally designed as three apartments, the conversion into a hostel has been seamless. Yet it still retains the homely feel. The rooms have enough space to swing several cats, with private and dorms available. The showers are hot, the beers are cold and the staff all own a particularly dazzling smile. Is this a dorm or a friggin’ airplane hanger? Amirite? You’ve got the option of cooking your own breakfast in the fully furnished kitchen, or treating yourself to a cracking start to your day for 5000CoP, by way of the in-house breakfast menu. And you can drown away all your next-morning hangover sorrows with free coffee. 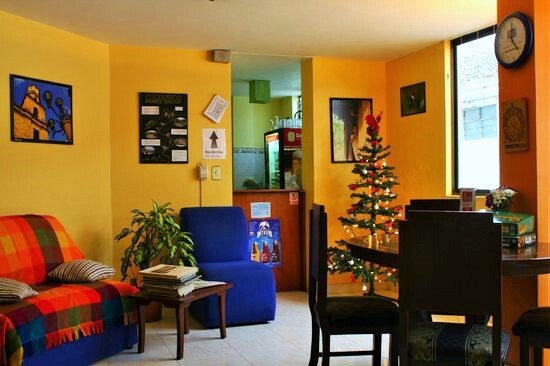 The centre-point of the hostel is the open air communal area, situated on the ground floor but extending up through the three floors of the building to a skylight in the roof. It’s the perfect place to crack open a hard earned, or throw around some cards. The place isn’t rated 93-odd percent on HostelBookers for no reason. 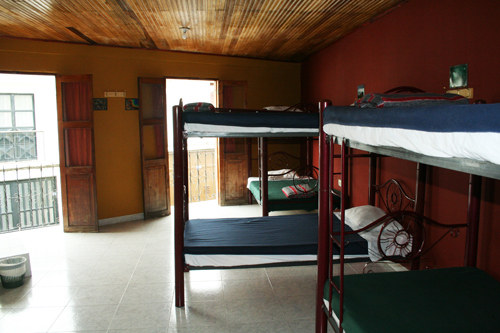 More than the hostel itself though, where HostelTrail excels itself is in its promotion of the Popayan area. Kim and Tony have put a huge amount of effort into making sure the Popayan region isn’t a forgotten part of a traveller’s itinerary, and the amount of tour promotion in and around the hostel is stunning. They’ve personally organised and made available a lot of the tours that they promote, working with the locals to capitalise on the beauty of the Popayan area. From horse riding to mountain biking, coffee tours to canyoning, if you’ve got more than a day in Popayan it would be idiotic to miss out on an authentic local experience. This even extends to things like food and drink recommendations, and local must-sees. They’ve created their own map with a few favourite places on it, so you’ll be hitting up hip joints like a local in no time. All in all both the experience in HostelTrail and Popayan proper was magic. Despite only spending 2 short nights there, leaving felt a little like leaving home, and HostelTrail was a massive part of that. If you’re ready to check out all the Popayan and HostelTrail have to offer, hit them up via their website or Facebook page.